Berklee’s 1140 Boylston Street building houses administration, academic departments, studios, and recital halls and serves as the college’s front door. Students, faculty, staff, and visitors use the building daily, and the client hired HMFH to redesign the entry and first floor to better reflect the college’s contemporary image. A new glass entry vestibule on the façade of this early 20th century hotel gives visitors a glimpse of what’s inside, combining contemporary materials with a restored, decorative plaster ceiling. 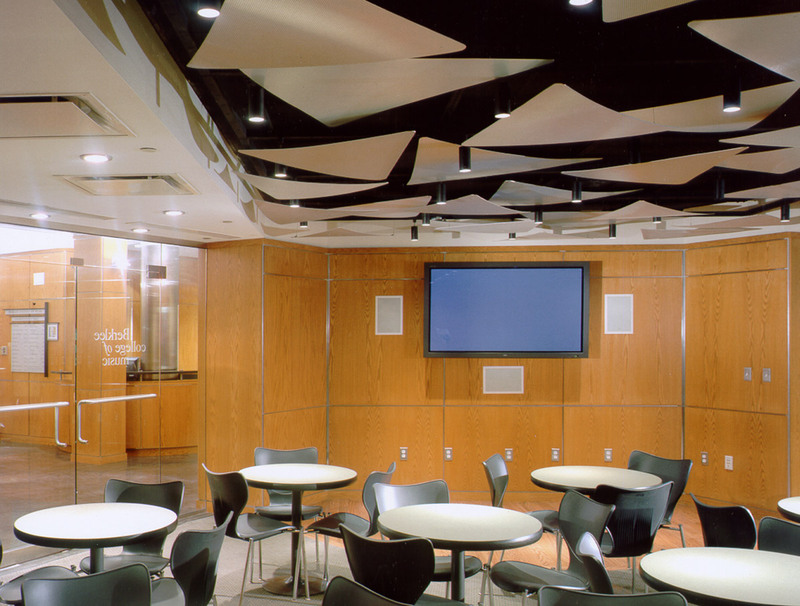 The entry leads to a central gathering space that serves as a performance venue, student lounge, and reception area for recitals.